Professor James Livingston will get to keep his job at Rutgers University, and will not be disciplined for racial discrimination. 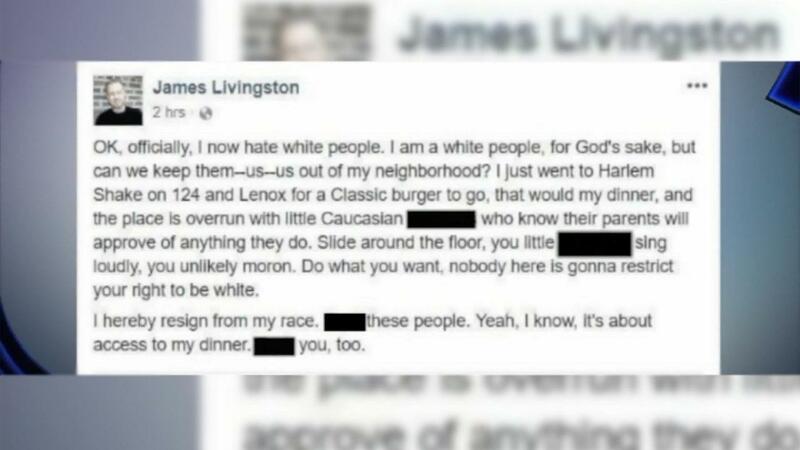 Livingston embarked on a viral racist Facebook rant in June against white children and their parents after visiting New York City’s Harlem Shake on May 31. After Livington’s remarks were read across the web, the university announced it would launch an investigation into the professor and his inflammatory commentary. In August, Rutgers found Livingston guilty of violating the university’s Policy Prohibiting Discrimination and Harassment with his Facebook remarks. Livingston appealed the finding, but the university initially rejected the professor’s appeal and charged him with racial discrimination. A Thursday news release from FIRE — the Foundation for Individual Rights in Education — revealed that the university does not believe that Livingston’s remarks were racist and reversed the charge of racial discrimination. After Livingston appealed the university’s decision, FIRE wrote a letter to the school’s president, who called for review of the school’s findings. So what’s being said now? In a statement, Livingston expressed his gratitude for the university’s reversal.